If you’ve ever had to research project management software, you know the number and diversity of available software options can be overwhelming. Assuming the software meets your minimum feature requirements, fits your workflow, and has great customer support, how do you make the final choice? The report also includes a few quantitative metrics to measure how we stand up against the competition, as well as links to customer reviews. 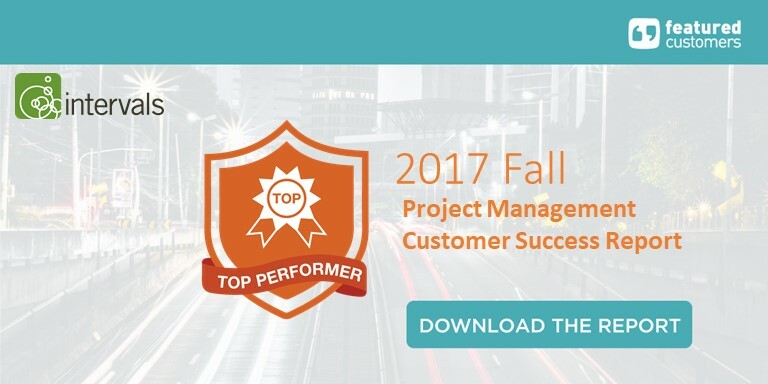 While we’ll be the first to tell you that Intervals is one of the top choices for project management software, it’s nice to have others agree.